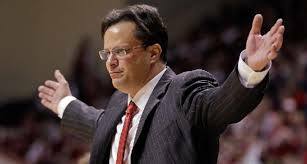 Instead of campaigning for love, Tom Crean needs to be above being affected by thoughts of fans. Whether Indiana basketball coach is too nice or too needy a guy, he needs to stop it. When Indiana plays Purdue tonight at Simon Skjodt Assembly Hall, the Hoosiers will be playing for their NCAA Tournament hopes, and Tom Crean will be coaching for his job. If IU fails to earn an invitation to the Big Dance, enough fans might be pushed toward indifference to make a change in leadership the only answer in building hope for the future in Bloomington. Even with two Big Ten regular season championships, it might be tough for anyone associated with Indiana to make the case there is light at the end of the tunnel if Indiana can’t find a way to win four of its remaining games beginning with tonight’s rivalry contest. None of that should matter to Crean. Fans are generally nuts, and Indiana fans confronted by a coach who covets their affection are completely off the rails. For 29 years, the Hoosier faithful dealt with an authority figure who had no interest in whether he was liked, loathed, hated, or adored. Bob Knight barked defiantly at fans in a way that conveyed extreme indifference. Fans were accustomed to being disciplined by the beast in the red sweater. While Crean’s coachly arrogance has been a minor irritant over his nine years in Bloomington, he has always valued the adoration of fans – especially those unwilling to be wooed by occasional excellence and repulsed by the celebratory gesticulations. And that’s a pretty good analogy illustrating the personalities of the two coaches, and how they engage with fans. Knight was General Patton, slapping soldiers complaining of combat fatigue. Crean is a Hardee’s manager trying to get front line workers to show up for their shifts. One careened. The other coddles. I don’t know whether Crean is capable of taking the enormous leap from winning fans over with well-intended platitudes to being a zealot who demands a behavioral standard, but he would find a more easily controlled fan base if he did. Hoosier fans need a verbal slap every now and then. Instead of trying to please them, Crean needs to compel IU fans to try to please him. They have been conditioned to accept discipline from an extremely autocratic authority figure. Instead of kowtowing to fans and applauding them after games, he should march off the court unmoved by their love. Win or lose, a coach’s attention should be entirely riveted on those he leads. Expectations inflated by wins against Kansas and North Carolina might be Crean’s doom as coaches most often lose their jobs because of unfulfilled dreams, or it might simply be the pragmatic examination of the program (currently a 36-29 Big 10 record with three finishes of seventh or worse over last four seasons – including this one not yet concluded) that brings him down. If Crean survives, my advice to him is to stop worrying about being accepted by fans whose favor cannot be won. He needs to pivot away from trying to be loved, and embrace the borderline sociopathic tack of the coach who so often put fans in their places. We IU fans are boorish louts who demand what cannot be delivered. Recalibrate our expectations, and tell us where we belong on the IU Basketball food chain. Only through resolute indifference can Crean earn the love he so desperately craves. 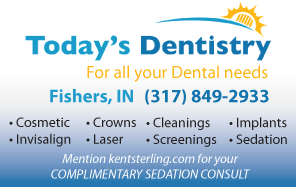 Kent Sterling hosts the fastest growing sportstalk show in Indianapolis on CBS Sports 1430 every weekday from 3p-7p, and writes about Indiana sports at kentsterling.com. This entry was posted in Featured Story, Indiana Basketball, Indiana University and tagged Bob Knight Indiana, Indiana Purdue, Tom Crean fired, Tom Crean Indiana on February 9, 2017 by Kent Sterling.